Make a nice paper zebra with paper stripes. Do you like zebras? Tomi and Mimi love zebra’s. With their black and white stripes they are very pretty. Do you know where they live? That is right, in the grasslands of Afrika! Today Tomi and Mimi set to work cutting stripes and pasting them on paper, to cut out a zebra. Zebra starts with the letter Z, the last letter of the alphabet. Listen to Tomi and Mimi’s ABC and learn all the letters of the alphabet on their app for iPhone. You can even play a little game to match the letters and the cute pictures. Making these zebra’s is very easy. 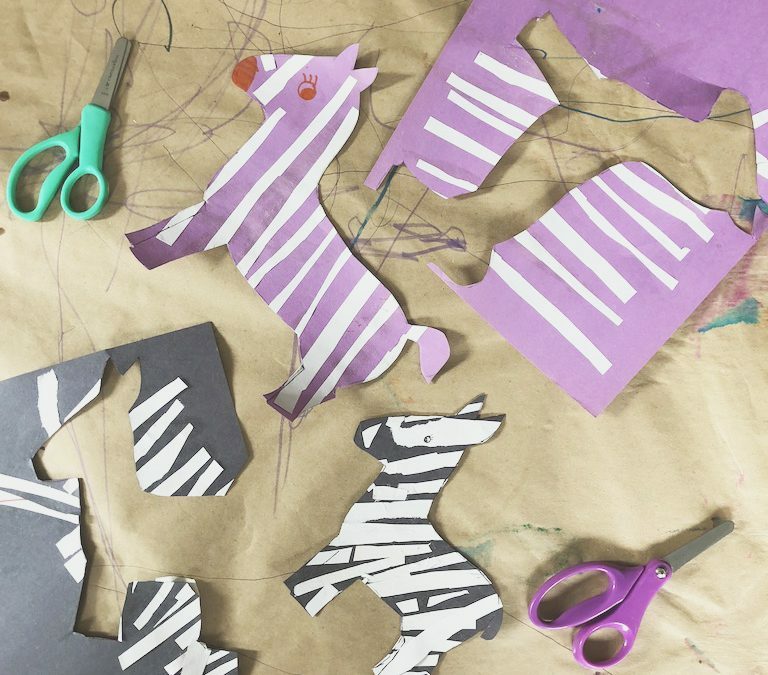 If you are too small to cut stripes out of paper, you can use pre-cut stripes or have your parents cut some for you. Then you glue them on a piece of paper. Mimi used pink, because she loves pink. Tomi choose black, because that is what a zebra really looks like! Then they traced a zebra shape onto their striped paper and cut it out. Add a pretty eye to finish your zebra. There you go, easy as pie.